This help us gauge the extent of the 2-hour consequence. We wanted to see different consequences for violating rules. This has all the punishments from violating dress code to having a weapon. This helped so we could write a fair, and correct opinion piece. We used this information to make our timeline on the TOP spread for SIPA 2015. 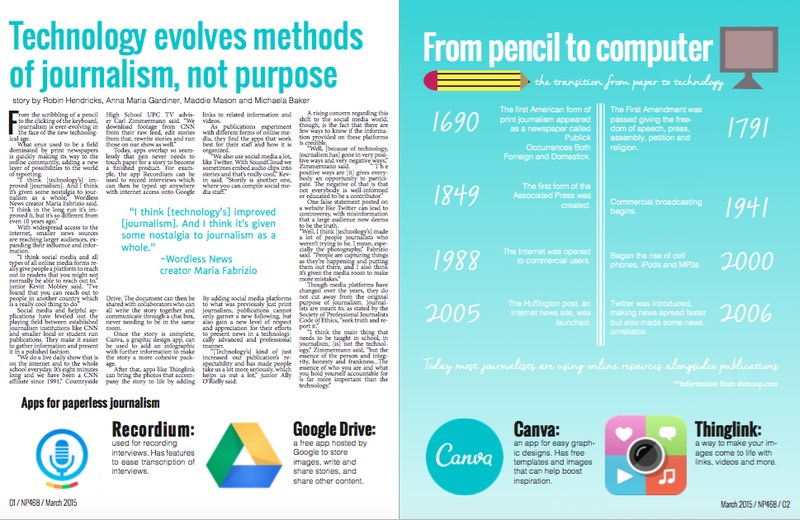 We made a timeline of how journalism has evolved with the media. We pin pointed certain important dates and it turned out really well. This is a page out of a journalism promotional pamphlet. I used this to help Anna Maria and Raleigh when designing the Journalism spread found in the Winter issue. When doing some redesign, I also drew more information from this pamphlet. This helped for the design because it gave actual evidence of journalism helping students in and out of the classroom. This information was used in the opinion piece. I needed to see when senior exams were versus underclassmen exams. The separation of the two is discussed in the story. This year, the senior exams overlapped with the underclassmen exams due to graduation being on a Thursday. 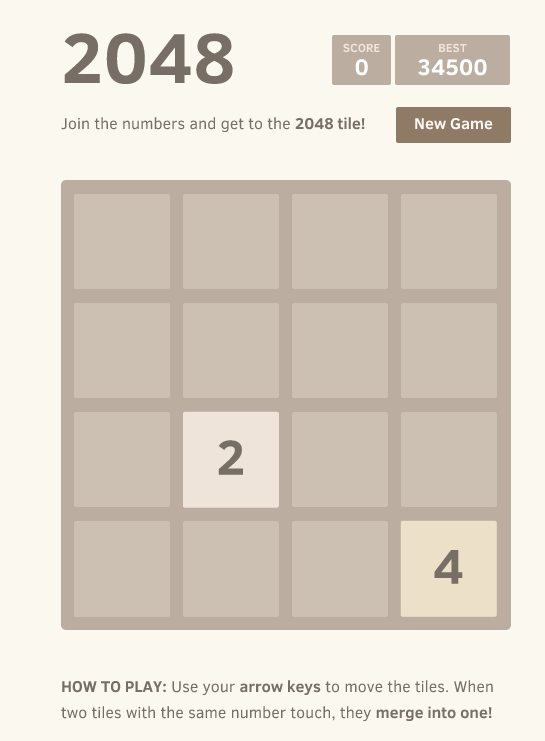 For the 2048 review, I actually had to play the game. It is much easier to write a review about a game when you are actually playing it. One can get more detail and it promotes true thoughts about the game which are added into the review. Playing the game really did help me write the piece. It helped me explain it more than I would of without the game so I could make it a true and in depth app review. Here is a link of the Girls’ state championship game. I used this to help me write the state championship story. This helped me with some of the scores and plays that happened. It was very useful to write the story when I needed to recall different plays or events that happened during the game. This live stream was not only helpful but also was fun to watch too as they won their third state championship.